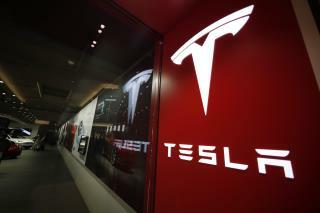 (Newser) – After announcing earlier this month that it would close most of its stores and lower prices, Tesla has revealed an updated strategy of keeping its stores open and raising prices. Stores that closed around a week ago are already reopening, including outlets in Hawaii and California, Bloomberg reports. "Over the past two weeks we have been closely evaluating every single Tesla retail location, and we have decided to keep significantly more stores open than previously announced," the company said in a blog post, adding that it "will need to raise vehicle prices by about 3% on average worldwide." You're darn right the reversal is a serious lack of confidence in the company's leadership. i would bet it has a lil something to do with people wanting to repair their own teslas. they have been able to get away with not selling parts because they have service at the dealerships. but with no service in oh say hawaii they have to sell parts to owners. so open a dealership and continue not allowing people to service their own car. the car is great the thinking is stupid. I want my next car to be an electric, but I wouldn't buy one from this clown if he lowered the price to $100. I'm hoping the real car companies have comparable vehicles available soon.